It's easy to label everything an athlete and team needs to identify. From practice and game clothing, to individual equipment, waterbottles, footwear and team equipment - our sports name tags fit the bill. 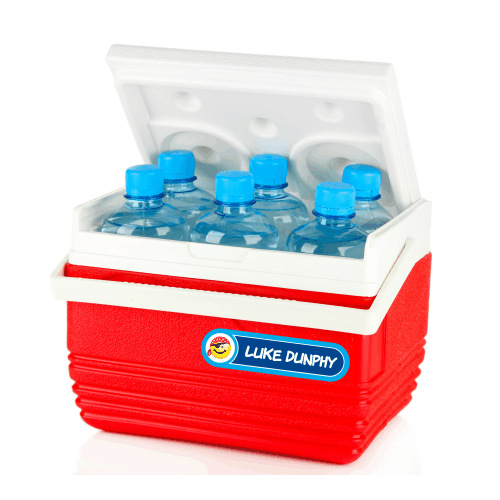 On hard surfaces use Waterproof Stick On Labels. 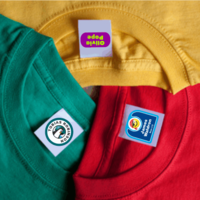 On garment care tags, size tags & brand stamps use our Stick On Clothing Labels. 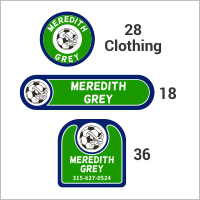 We can make custom team labels with your colors & mascot. 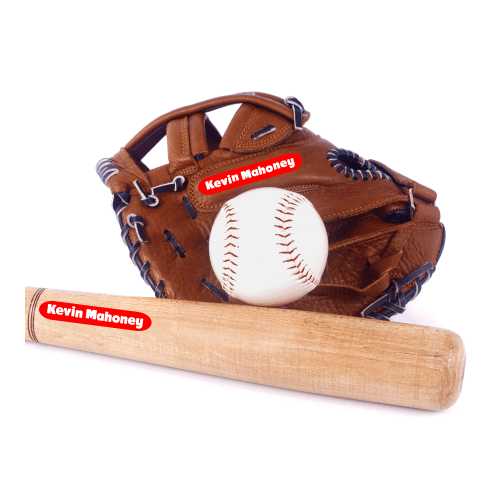 These Sports Name Tags & Labels Are Recommended by Cooperstown moms! Check out a few of our most popular labels below! 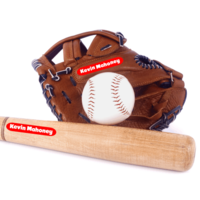 Sports Name Tags and Sports Equipment ID Labels Can Save You Tons of Money! 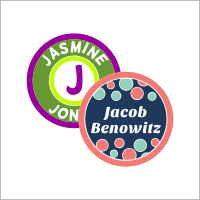 Create one-of a kind, stick on sports labels for your kids or sports team's clothing and equipment today. Buy clothing labels to help with organization and identification ensuring you won't lose and have to replace expensive gear. 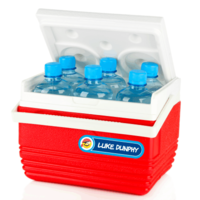 Our labels also have an industrial strength adhesive so they stick, wash after wash, beating after beating! Our sports name tags are so tough, they're used by Syracuse University Athletic Department for their athletes, coaches and equipment. Lots of colleges, high schools and traveling teams trust our labels for sports equipment, sports gear, clothing, and more - and so can you! Sports Labels Will Make Your Life Easer - No Matter Who You Are! 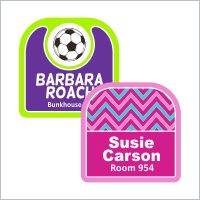 Whether you're a mom, athlete, coach or equipment manager, our equipment ID labels will make your life easier. No more mix ups in the locker room, on the playing field or in the ski lodge. Put our equipment identification labels on gear to make sure it makes its way back to its rightful owner. 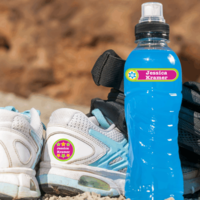 Use our waterproof stick on labels to label all the sports gear you, your kids and your teams use including water bottles, snow skis, nylon bags, helmets, lacrosse sticks, footwear and shoulder pads...the list is endless. 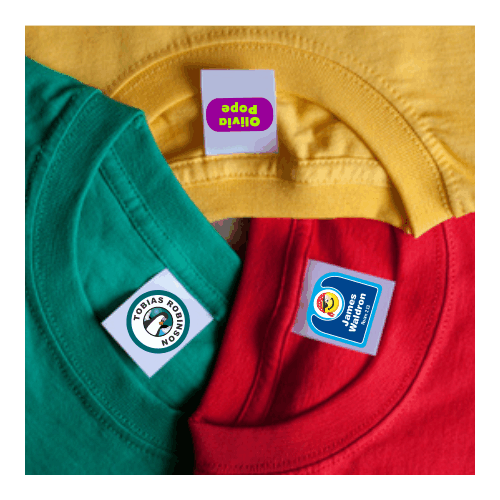 Use our laminated stick on clothing labels or iron on labels for all the clothing items you need to label. You'll love our sports labels or your money back. Parents and teams heading to the Cooperstown Dreams Park, label their clothing, equipment and personal items with thousands of IdentaMe Labels every summer. 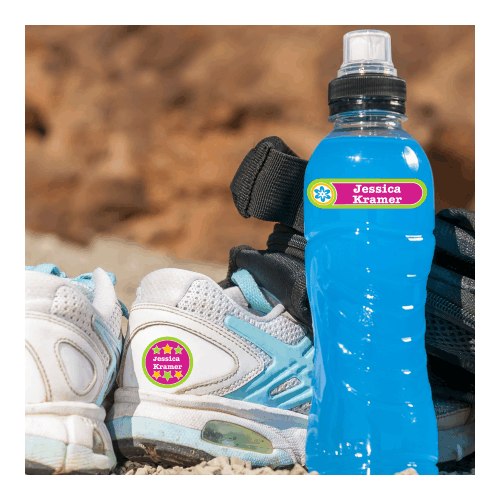 With thousands of kids all using the same barracks, dugouts and common areas, our labels for sports gear are the smart play. Order labels for sports equipment and clothing for your player or tell the coach that it would be a good idea to get matching labels for the whole team! Either way, you'll be covered and all the stuff that goes to Cooperstown, comes home from Cooperstown. Buy clothing labels so you can even create cool, custom labels for the whole team with team colors and mascot! We'll create custom sports labels to meet your needs including your colors, logo, names or numbers. Buy clothing labels by giving us a call and we can work out the details and come with a label that you and your team will love. Call us at (315) 627-0524.